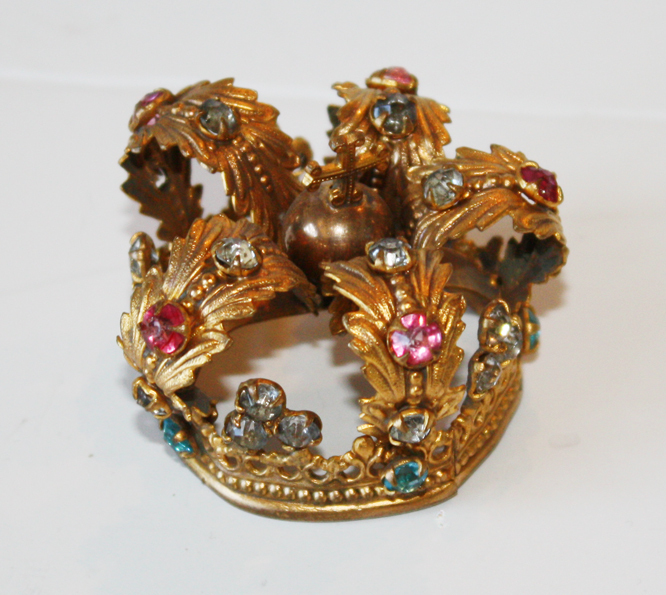 This is a crown that was once used for an old santos statue. 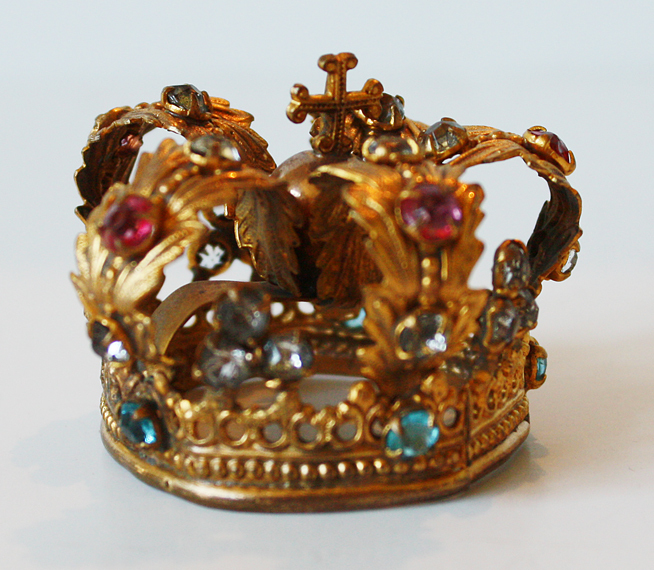 This crown is 2 inch. diameter and 1.5 inch H. Decorated with facet pink, white and blue stones. 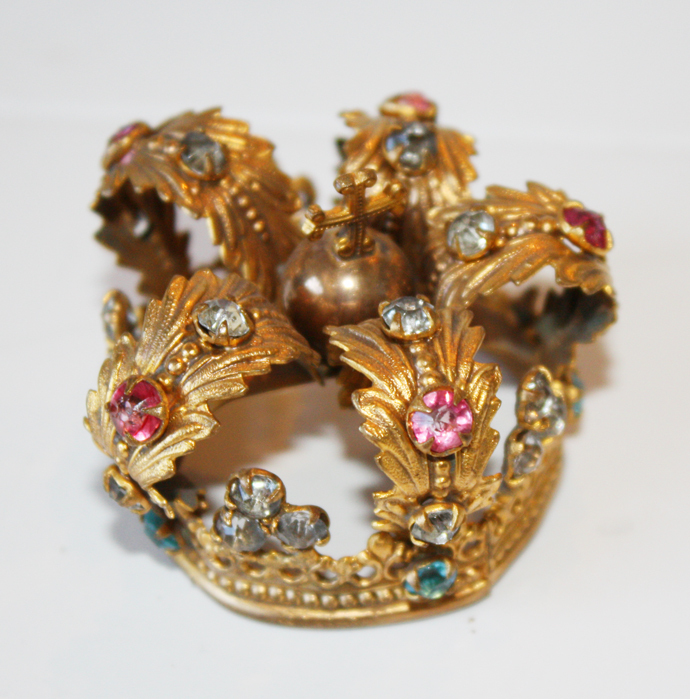 A beautiful crown to add to your collection, or start one with.